We were provided a knowledgeable and passionate tour guide who gave us more than our money’s worth. 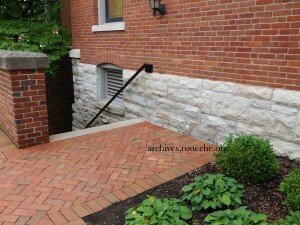 The grounds are beautiful and everything inside and out is lovingly cared for. 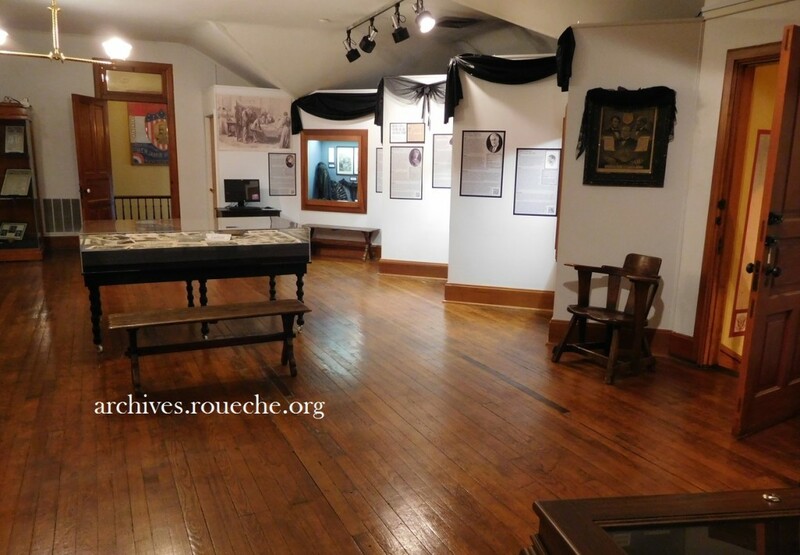 The carriage house has been converted to a visitors center with a modest gift shop and a small meeting and exhibit space. I highly recommend a visit. I wanted to photograph everything during the tour but that wasn’t possible, or necessary. 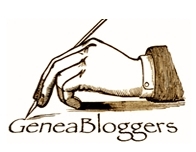 The foundation’s website is loaded with history, genealogical information, photographs, and more. Just know that we toured all three flours above ground and that the house is staged with over 75% of Harrison family original furnishings. 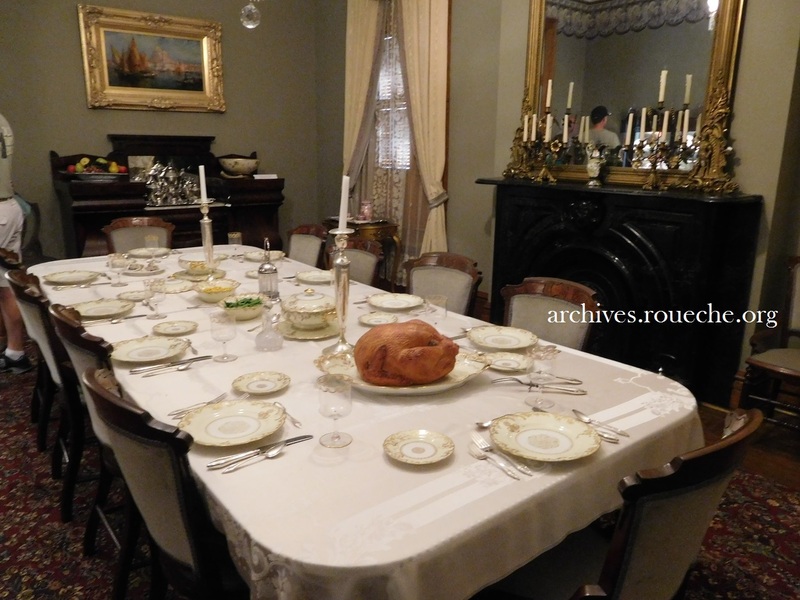 The remaining items, mostly in the kitchen and dining room, are authentic period pieces. 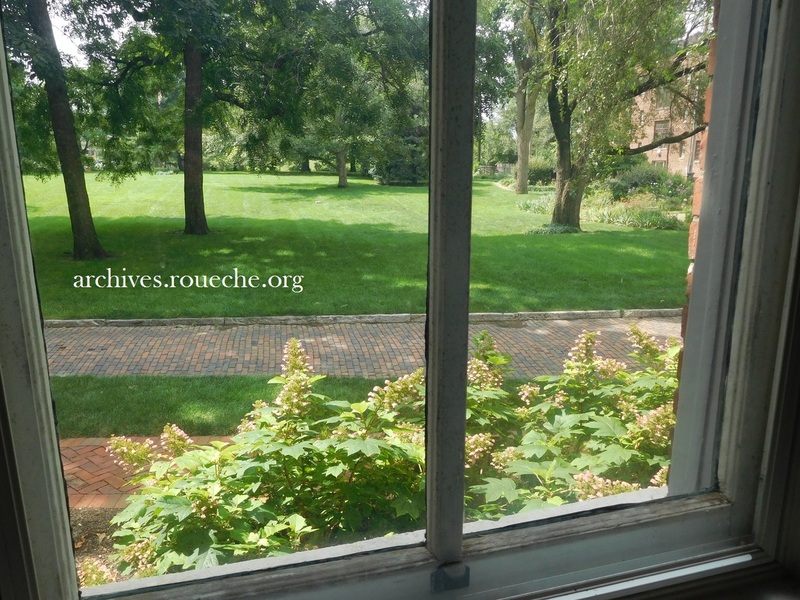 The guide told us that this fortunate circumstance is due to the 2nd Mrs. Harrison, Mary Lord Dimmick, who carefully boxed and labeled each item when she sold the house to the college in 1937. 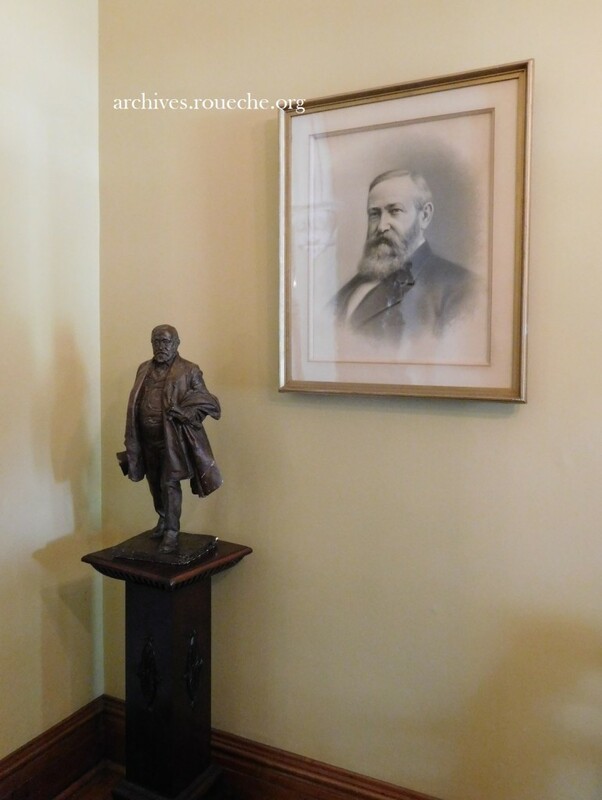 Two images of President Harrison in the front foyer. 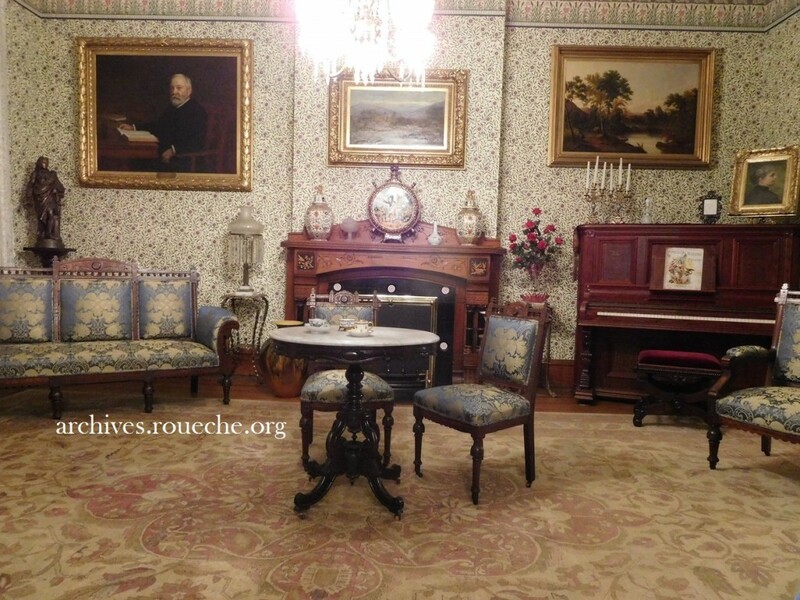 The home’s two parlors, formal and family, are both beautiful. This is the front parlor with original lighting and some of Caroline Harrison’s own artwork. All of the original gas fixtures were eventually electrified. Both parlors had a piano. 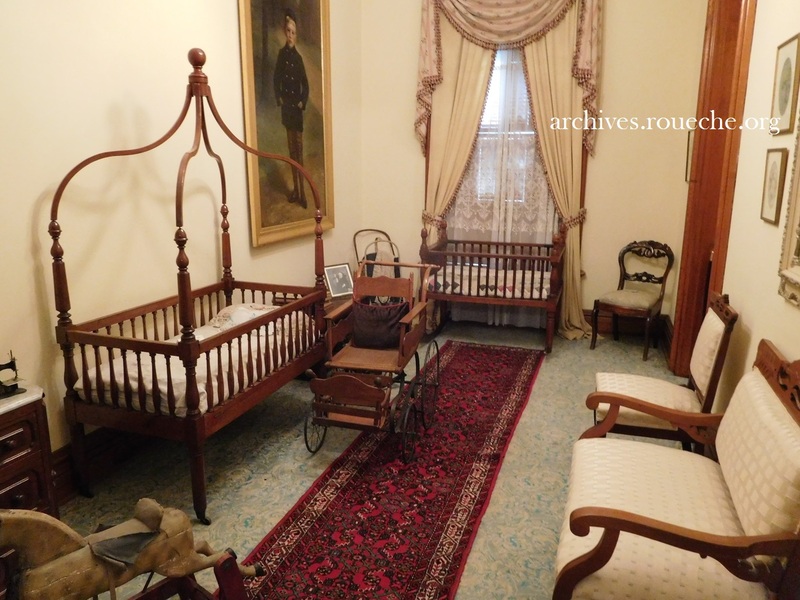 After passing through the family parlor, guests tour the den/office. 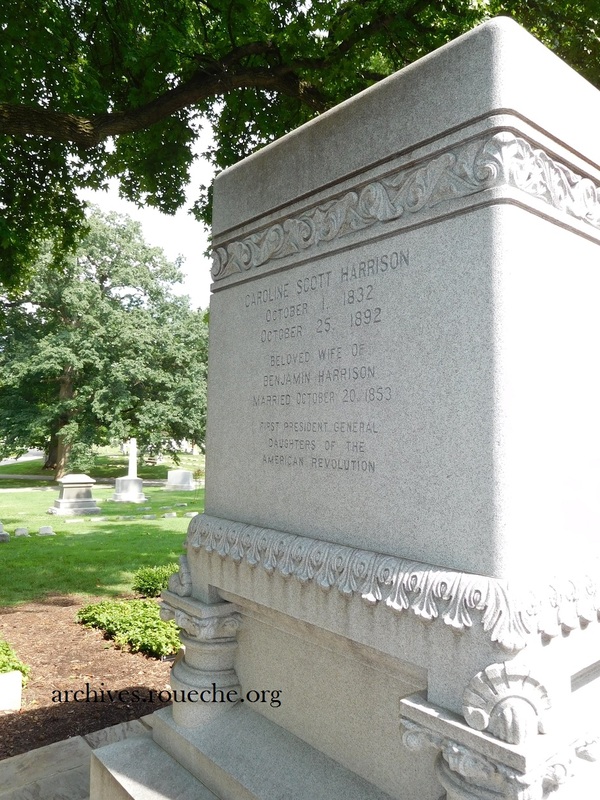 Harrison had an impressive library on law, history, and biography. 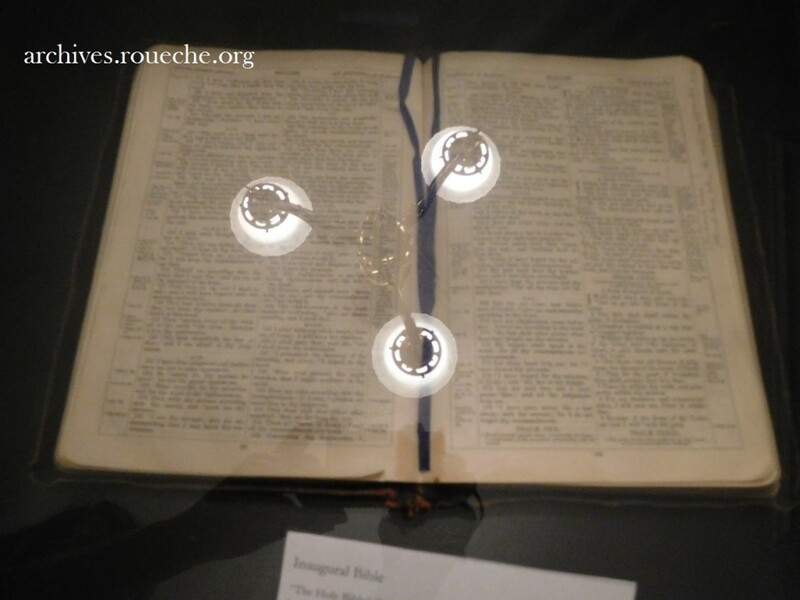 Items from his military service are carefully preserved there, as well as the bible used for taking his oath of office. This Bible was open to Psalms when the president was sworn in for his 1890 term in office. The kitchen, fitted with an ice box and, of course, a Hoosier, is a sunny room with lovely garden view. We next crossed a hall and passed through butler’s pantries to get to the large dining room. 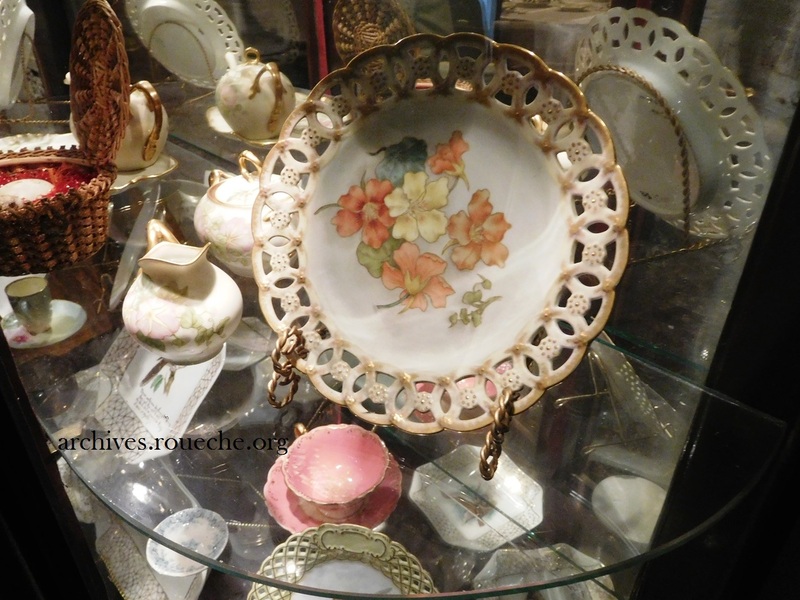 The home is full of Caroline’s handiwork, including paintings, embroidery, and painted china. The second floor has several bedrooms so the foundation is able to set aside one for each of Harrison’s wives and decorate them accordingly. In addition to guest and children’s rooms, a large dressing room has been re-imagined as a nursery to exhibit some original family pieces. 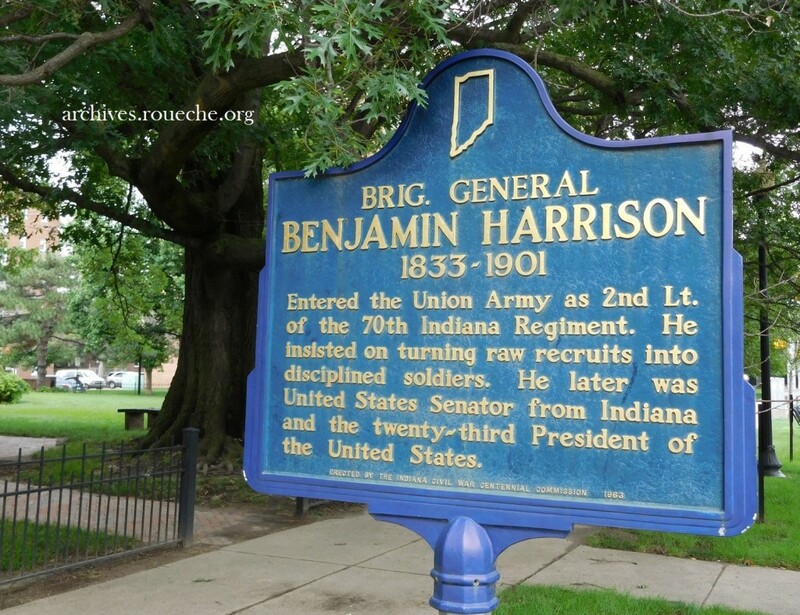 The cradle was originally owned by President William Harrison, Benjamin’s grandfather. 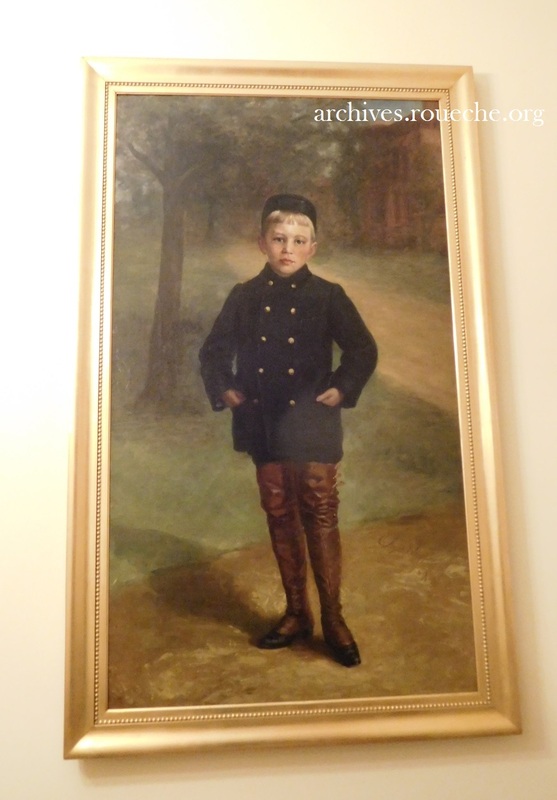 Portrait of grandson Benjamin McKee. 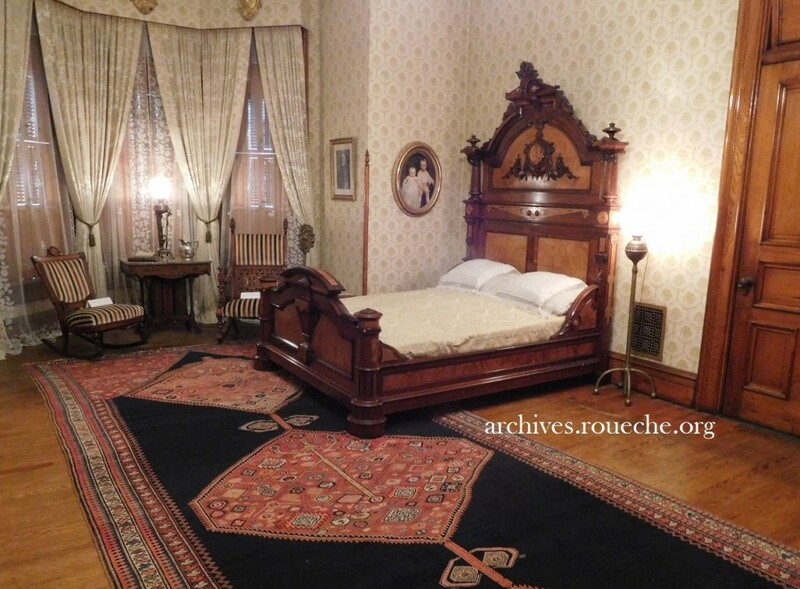 The master bedroom with its beautiful bed and his and hers rocking chairs. Caroline Harrison died of tuberculosis while Benjamin was president. Consequently, he did not campaign for re-election and lost to Grover Cleveland. 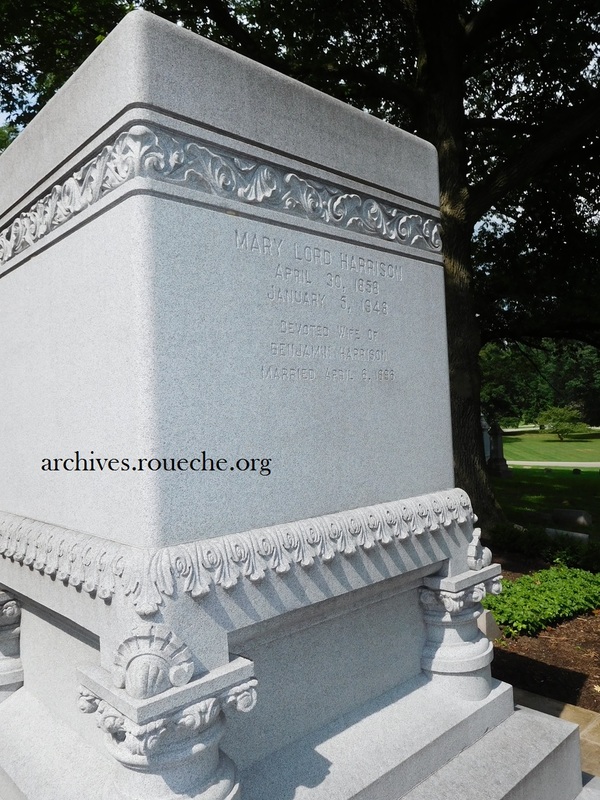 After returning to Indianapolis, he married his wife’s niece Mary and they had a daughter, together: Elizabeth. Adored by her father, Elizabeth was just four when Harrison died 13 March 1901. The top floor of the home has been furnished with items from Harrison’s law office and is a display space for semi-permanent educational exhibits. 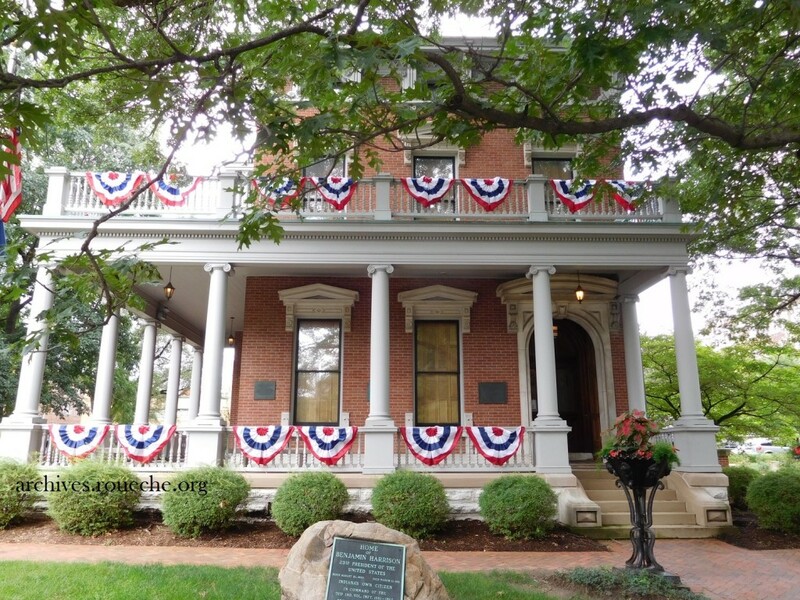 The current exhibit is called A Death in the White House and highlights the lives and deaths of the 8 presidents and 3 first ladies who passed while living in the White House. It was so interesting and informative, the guide could hardly pull our little group away. The exhibit continues to the end of 2015. 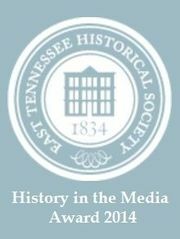 Read about past exhibits and take a virtual tour of the home on the PBHS Foundation site. A peek at the basement entrance. The one place we didn’t get to see! Crown Hill Cemetery is a beautifully landscaped and very large cemetery in the heart of Indianapolis, is on the National Register of Historic Places, and is a National Cemetery site; the burial home of 2,135 soldiers. Tours and events are conducted here, regularly. 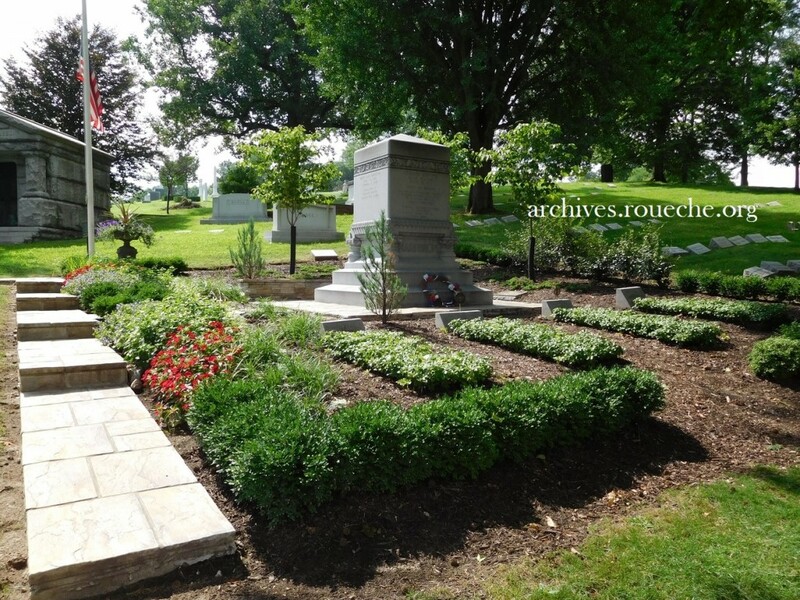 Upon entering the cemetery gates on Boulevard Place, we followed the painted line to find the presidential grave site. 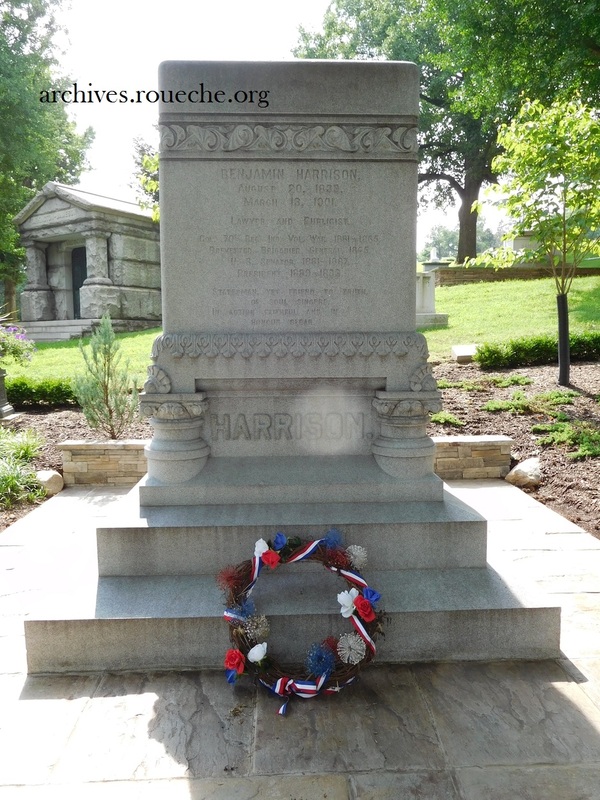 Grave site for President Harrison and his family members. Next we went to the Indianapolis Museum of Art. 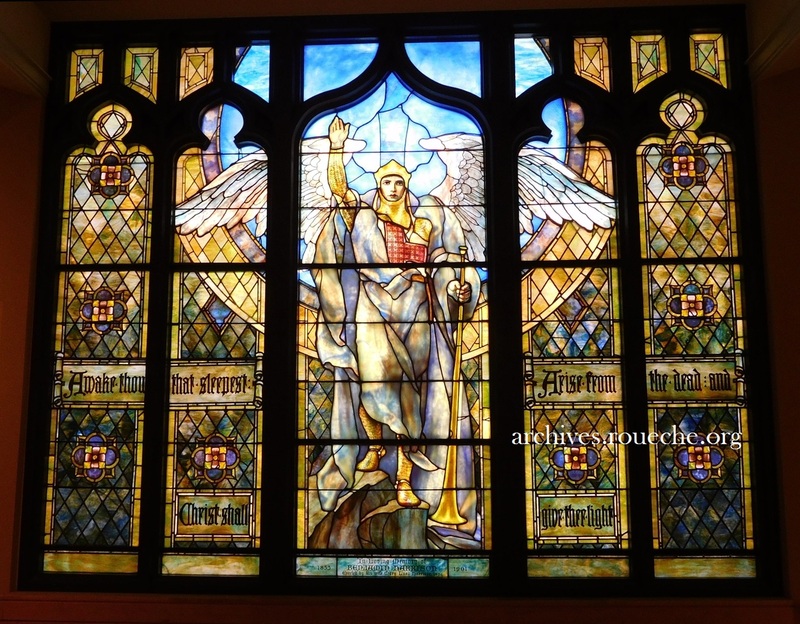 In addition to a world class facility, sculpture garden, historic Lilly House, and superior collection of American art, the IMA displays a most impressive Tiffany stained glass window, Angel of Resurrection. Benjamin Harrison was a faithful member of First Presbyterian Church in the Old Northside district for 40 years and donated generously to their building fund. His wife Mary commissioned the window in his honor in 1903. When the church merged with Meridian Heights Presbyterian Church in 1972, a gift was made of the window to the museum. I hope you have enjoyed my day spent with President Harrison. To learn more about him, see the National Park website and the White House website. 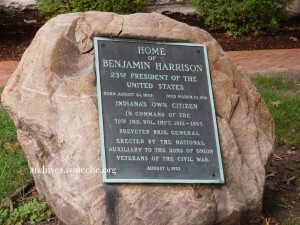 This entry was posted in Field Trip and tagged Benjamin Harrison, historic sites, Indiana. Bookmark the permalink. I enjoyed this Kari. Thank you! 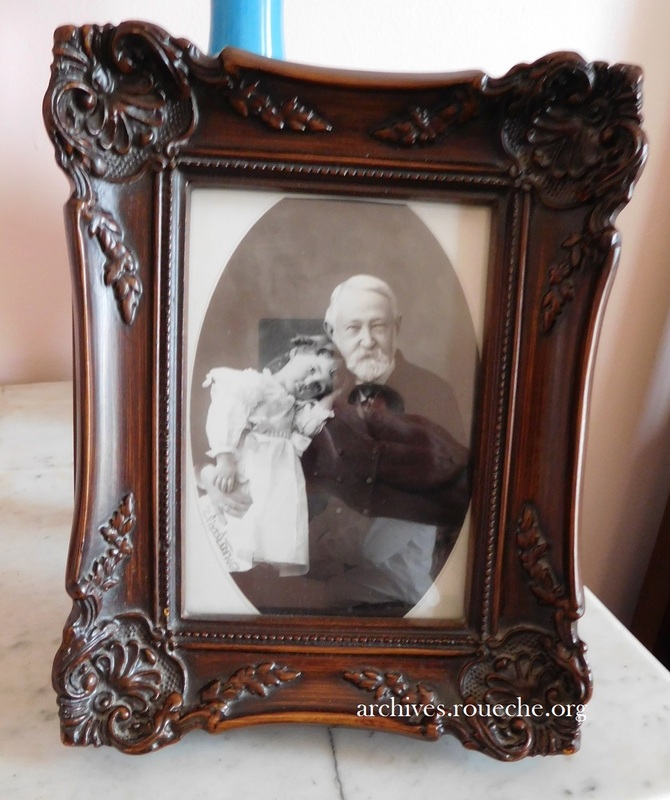 I especially loved the father/daughter picture with little Elizabeth and the stained glass.